A college town, Baton Rouge is home to Louisiana State University (LSU) and several other colleges - 20% of the population is made up of college students. Baton Rouge is a major city in Louisiana of over 220,000 people. 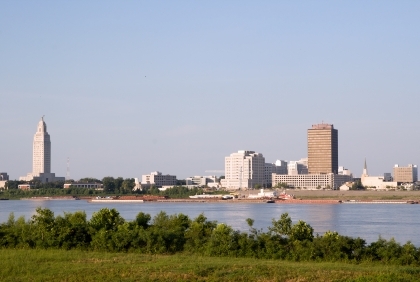 The city is located on the Mississippi River near the "laces" of the Louisiana boot. In the aftermath of Hurricane Katrina it was a refuge for many people from New Orleans. Baton Rouge has the state capitol as well as a lively arts scene. Photo of Rivercenter courtesy of and per license of Wikipedia and UrbanPlanet BR. There are many nice neighborhoods to live in, such as University Lakes. There are active adult communities in or around Baton Rouge (see link at top right). According to the NAR, the median price of a home here was $211,200 in the 4th quarter of 2018. It is the state capitol and a major port on the Mississippi River. Several plantation homes in the area such as Magnolia Mound Plantation House, Myrtles Plantation, and Nottoway Plantation are fun to visit. Being home to LSU and several other colleges makes it an interesting college town. Baton Rouge is a major industrial city and port, and as such crime is high. Compared to the rest of the state real estate is expensive. Baton Rouge is in southeastern Louisiana on the bluffs above the Mississippi River. The average July high temperature is 91 and the average January high is 60 (the average low is 40). The wettest month is January (6"). Baton Rouge has an expanding downtown visual arts scene. 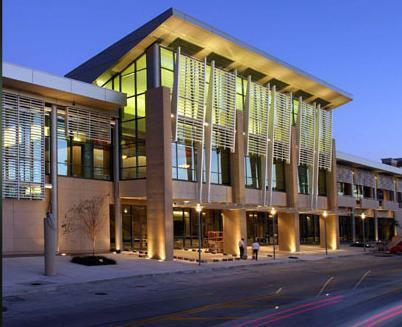 The Shaw Center for the Arts opened in 2005, which houses the Brunner Gallery, LSU Museum of Art, the Manship Theatre, a contemporary art gallery, and traveling exhibits. The Louisiana Art and Science Museum. There are several performing arts venues including The Baton Rouge Little Theater, Baton Rouge River Center, and Manship Theatre. As a college town there is always something available culturally. Plus there are a number of festivals, with Mardi Gras being the biggest. Crime is reported in Baton Rouge at about double the national average. There are many medical hospitals and medical centers in Baton Rouge including St. Judes and the Women's Hospital. Baton Rouge is a major port on the Mississippi River. There is a airport with service to several cities. Capital Area Transit System (CATS) provides modern urban transportation throughout Baton Rouge, and many of its buses have bike racks.